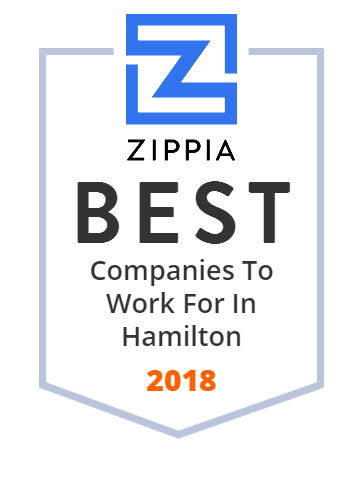 We hand-curated a list of the best companies to work for headquartered in and around Hamilton, OH using data on salaries, company financial health, and employee diversity. Hamilton City School District provides comprehensive educational opportunities for its students such as academic content offerings and career technical programs so that they would be strong in today's workforce. The District cares about the community and offers educational courses for adults, community educational workshops and recreational facilities. About 9,800 students can enjoy the new or renovated facilities in the schools. Lakota East High School is a high school in the Lakota School District which comprises both West Chester Township and Liberty Township in the suburbs of Cincinnati, Ohio. The high school is for ninth through twelfth grades though there are separate buildings for ninth grade students and tenth through twelfth grade students. Dynamic Control of North America, based in Hamilton, OH, has been providing acoustic environmental solutions since 1989. The company is best known for providing solutions to unwanted noise and vibration, also for home acoustics, computers, appliances, and Original Equipment Manufacturers. Most of its clients come from the Car Audio and Automotive Restoration markets. Its products are represented in over 50 countries. Butler Tech provides career training in dozens of programs such as bioscience, engineering, construction, public safety, healthcare, etc. It offers education both for teens and adults. Its customized training programs are perfect for local businesses that want to help their workers gain new skills. Having attained a technical education, most Butler Tech's graduates become very successful in the workforce. Butler Tech is located in Fairfield Township, OH. Great Miami Valley YMCA provides programs that build a healthy spirit, mind and body of its community's residents. As the nation's leading nonprofit, Great Miami Valley YMCA focuses on youth development, healthy living and social responsibility through Christian principles. It serves nearly 50,000 people in eight locations in and around Hamilton, Fairfield and Middletown. Some of its programs include: faith-based programs; swim lessons; gymnastics; group fitness classes; and much more. Coach House Tavern & Grille, located in Hamilton, OH, provides traditional and contemporary dishes in a welcoming atmosphere. Its exceptional selection of craft beers and wines are one of the best in the area. Its menu consists of locally-sourced seasonal ingredients, daily fresh lunch and dinner specials that show the culinary craftsmanship of its chefs. Founded in 1959, Tipco provides design and application assistance to its customers in the automotive, appliances, pharmaceutical, logistics, infrastructure, and othe industries. Its team of 200 employees from facilities in the US, Canada, Italy and the UK are ready to review applications and discuss failure mechanisms and then provide solutions such as tool design suggestions, material selection or coatings.